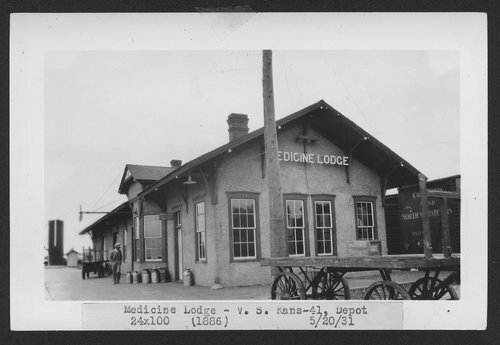 This photograph shows the Atchison, Topeka and Santa Fe Railway Company depot at Medicine Lodge, Kansas. Carts, cans, and a Chicago and Northwestern box car are also visible. Built in 1886, the depot measured 24' x 100'.